Under the Fair Labor Standards Act (FLSA) and in most states, employers are allowed to pay tipped employees an hourly wage rate that is less that the standard minimum wage. This reduced wage rate is frequently referred to as the “tipped minimum wage.” Unfortunately, this label can be a little deceptive. The reality is that federal and state minimum wage laws require employers to pay tipped employees the standard minimum wage, but allow them to rely on tips received by employees to fill the gap between the “tipped minimum wage” and the standard minimum wage. This gap filler is referred to as a “tip credit.” Employers who pay their tipped employees the tipped minimum wage without ensuring the employee also receives the standard minimum wage when taking the tip credit may be operating in violation of the law and may find themselves subject to an unwanted wage claim. In order for an employee to be eligible to be paid a tipped minimum wage, they must qualify as a “tipped employee” and not all employees who received tips in the course of their employment qualify. 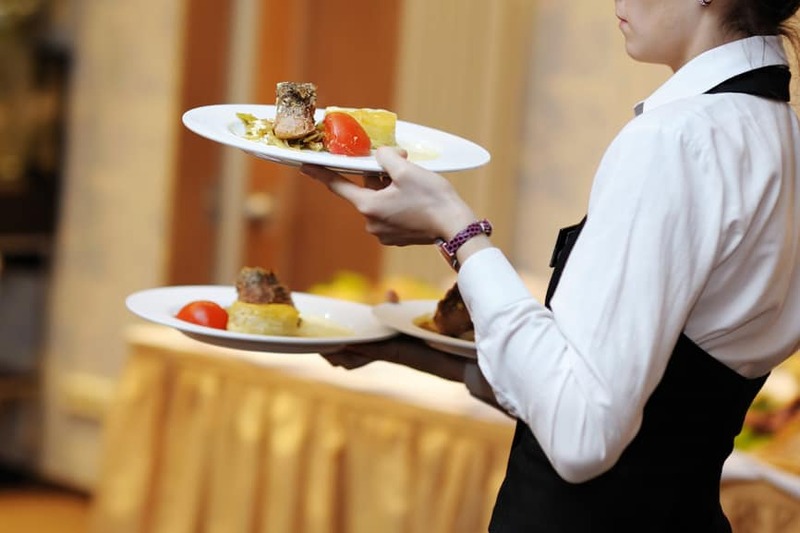 The Fair Labor Standards Act (FLSA) defines a “tipped employee” as someone in an occupation in which he or she customarily and regularly earns more than $30 per month in the form of tips. Most state laws that allow employers to pay a tipped minimum wage have a similar definition of a tipped employee, although the required amount of tips earned can vary from state to state. Similarly, some states are more restrictive about which occupations fall within the tipped category. Employers must pay all employees, unless otherwise exempt, at least the federal or state standard minimum wage, whichever is higher. This requirement includes tipped employees. The difference between tipped employees and non-tipped employees is that, under federal law and in states where it is permitted, an employer may rely on tips earned by tipped employees to ensure minimum wage compliance. This “tip credit” fills the gap between the tipped minimum wage, which employers must pay tipped employees before including tips, and the standard minimum wage, which employers must pay tipped employees after tips are included. The purpose of the tip credit is to ensure tipped employees may keep all their tips, as required by federal and most states laws, without overburdening employers with wage costs. As noted, an employer must ensure that tipped employees are paid the standard minimum wage rate and may do so by taking a tip credit. The sufficiency of the tip credit to meet the standard minimum wage obligation is based on the amount of tips earned by employees during any given workweek. A workweek constitutes a fixed and reoccurring period of seven consecutive 24 hour periods that may begin on any day of the week and any hour on that day selected by the employer. If in any workweek, a tipped employee fails to make enough tips to fill the gap between the tipped minimum wage and the standard minimum wage, the employer is required to pay the employee additional wages to ensure that its minimum wage obligation is met. To help us understand how the tip credit works, I’ll use an example of a server at a restaurant. The server is paid $2.13 per hour in compliance with federal law. During one given workweek, the server works 30 hours and earns $200 in tips. Thus, her total compensation is $263.90 (30 hours at $2.13 plus $200 in tips). Based on these numbers, the server’s effective hourly rate is approximately $8.80, which is greater than the current federal minimum wage of $7.25. Thus, the employer can pay the employee wages of $63.90 (30 hours at $2.13) in her paycheck and, with the tip credit, meet the standard minimum wage requirement. Using the same example, but adjusting the amount of tips, let’s assume the server only earned $100 in tips during the workweek. This shifts her initial total compensation to $163.90 ($63.90 in wages and $100 in tips), for an effective hourly rate of $5.46. 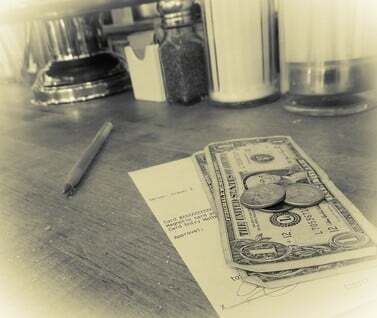 In this scenario, the employer would be required to pay the servers $53.50 in wages in addition to the $63.90 already earned, for a total of $117.50, to be compliant with its minimum wage obligation, because the tip credit failed to make up the difference between the tipped minimum wage and that standard minimum wage. Employers need to be aware that they may be violating federal or state minimum wage laws by paying tipped employees the tipped minimum wage and taking a tip credit without also ensuring those employees are earning the standard minimum wage. Such employers need to take the necessary steps to ensure they are in compliance with minimum wage requirements and that they have the proper procedures in place, so they can minimize their potential liability and operate without the fear of a wage claim on this issue. For more information, on tipped employees and tipped wages visit our federal and state minimum wage law pages.